Newcastle University invited growers, bread makers and millers to hear more about the EU-funded project, Healthy Minor Cereals, which is drawing on expertise from across the UK and Europe. Abby Kellett reports. The project aims to improve genetic resources, increase productivity and resilience against pests and diseases of three minor crops: oats, spelt and rye, while producing crops which are healthier and more nutritious for human consumption. Over the last 100 years of intensive breeding across Europe, wheat yields have steadily climbed. In the UK we are achieving an average of eight tonnes per hectare (3.24t/acre). However, nutritional losses have been a consequence of increased production. “While high cereal yields have benefited the farmer, it has come at a cost and this has been a much diluted range of nutrients and other beneficial aspects to human health,” said Dr Bilsborrow. In comparison, research has highlighted a far higher concentration of nutrients and beneficial compounds in minor crops, such as oats, spelt and rye. For example, oats have a high fibre and antioxidant profile. US research has shown oats can have significant benefits in reducing cholesterol, aiding its potential as a healthy food snack. 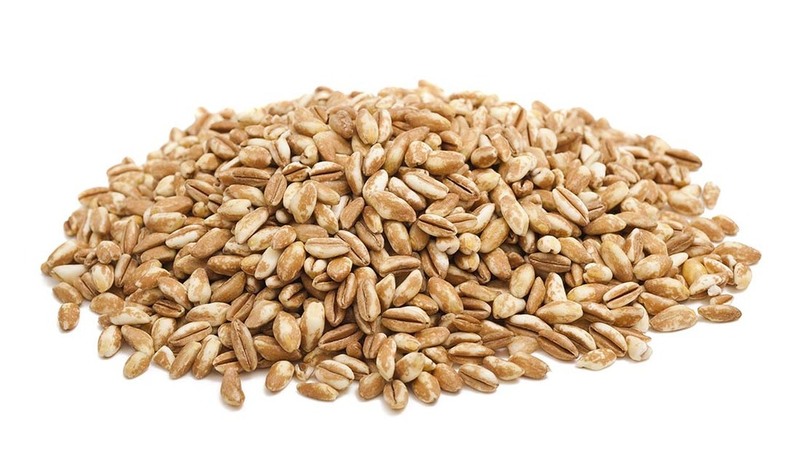 Similarly, spelt contains high amounts of zinc and iron, both essential nutrients which are becoming deficient in our diets because we are consuming too much wheat, which is typically low in these elements. Given their high nutritive status, minor crops are valued highly by both producers and consumers of organic foods, and increasingly also by conventional farmers. In comparison to conventional wheat, minor cereals typically grow well in poor soils and under low input conditions. Therefore, growing these types of crops on less productive land could be a viable option, particularly if higher yielding varieties can be cross-bred with those of high nutritional value. Ultimately, minor cereal varieties have to be practical and profitable in order to encourage farmers to grow them, as opposed to conventional cereals. “If we can bring some of those minor cereals – which are lower input, better for the environment and better for nutritional health – back into a rotation, then we can tell the consumer about the benefit of these grains and educate the farmer about potentially growing them,” said Dr Bilsborrow. 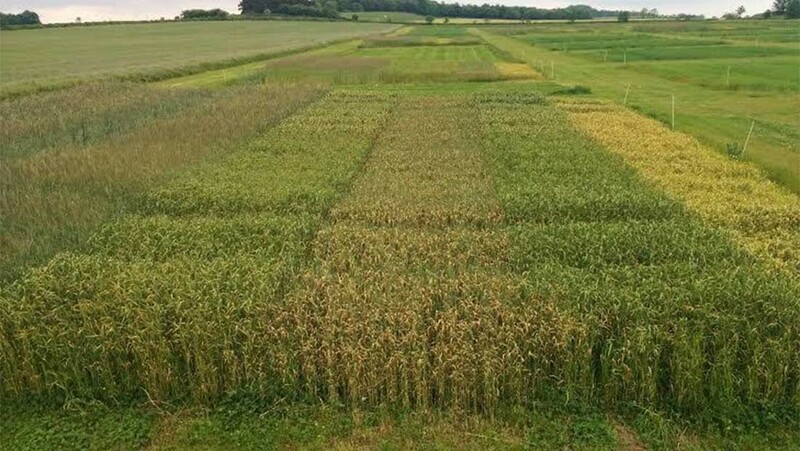 The first year of trials on a number of spelt and rye varieties has revealed some unexpected results. In an assessment of the effect of different nitrogen sources on the yield of spelt varieties, biogas digestate (3.4 per cent nitrogen) outperformed mineral nitrogen, composted farm yard manure and cattle slurry. Crops treated with biogas digestate were also taller than those which were treat with other forms of nitrogen and plants contained higher levels of protein. When comparing a range of nitrogen sources on rye, biogas digestate and mineral fertilisers gave an average yield improvement of 2t/ha (0.8t/acre), compared to cattle slurry and composted farmyard manure. Disease tolerance among different varieties and nitrogen inputs were also tested. The only notable disease incidence within the spelt trial plots was septoria. Where mineral nitrogen was applied, yellow rust severity was higher. However, nitrogen source had a much bigger impact on disease incidence in rye. While it did not affect yellow rust, powdery mildew severity was much reduced where cattle slurry or compost fertiliser were applied. Some European countries were moving away from traditional rye and spelt varieties by crossing them with wheat in order to boost yields, which has a negative impact on nutritional quality. In trials, spelt-wheat cross Filderstolz yielded the least. However, although more modern varieties yielded better, they were more affected by disease and so more work was still required in order to achieve a good balance between yield and quality. Initial trial results have been thought-provoking and the project will gather further data in the coming years to increase the viability of growing cereal crops, particularly within organic systems. Dr Bilsborrow said: “In our second year of trials, we are looking to compare min-till to a plough-based approach which should reveal big differences in terms of weed control. On top of this, we are superimposing a conventional-based herbicide programme versus organic mechanical weed control. Previous: Communications in the ag sector - what's it all about?